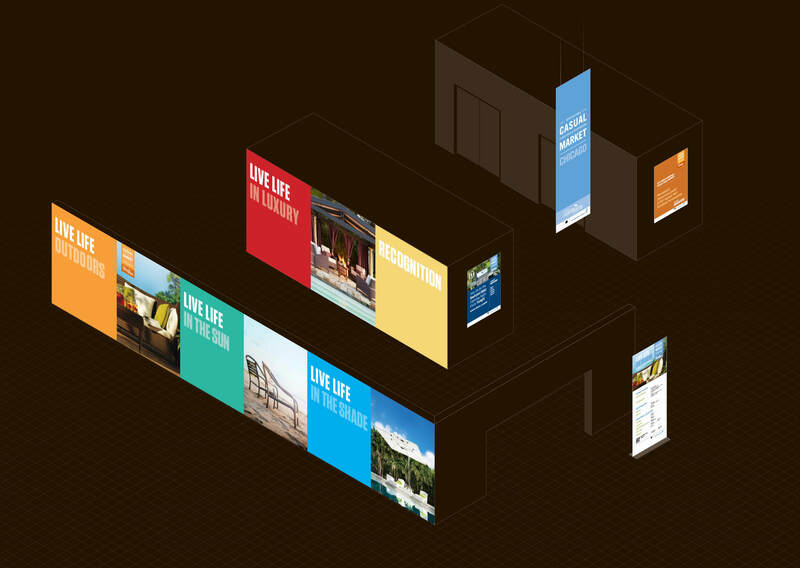 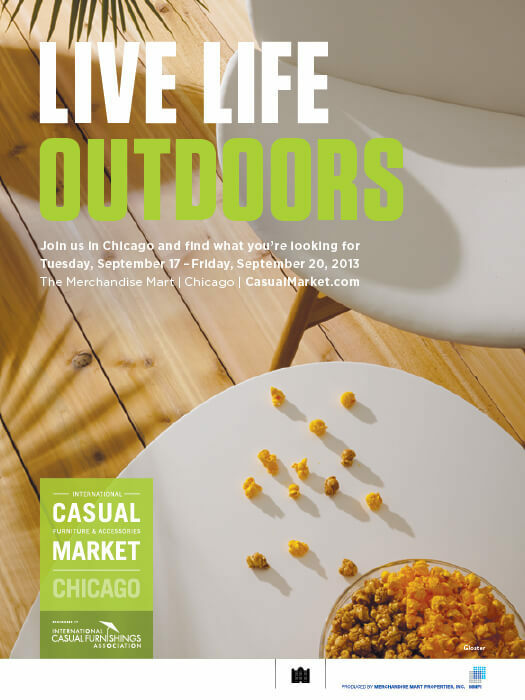 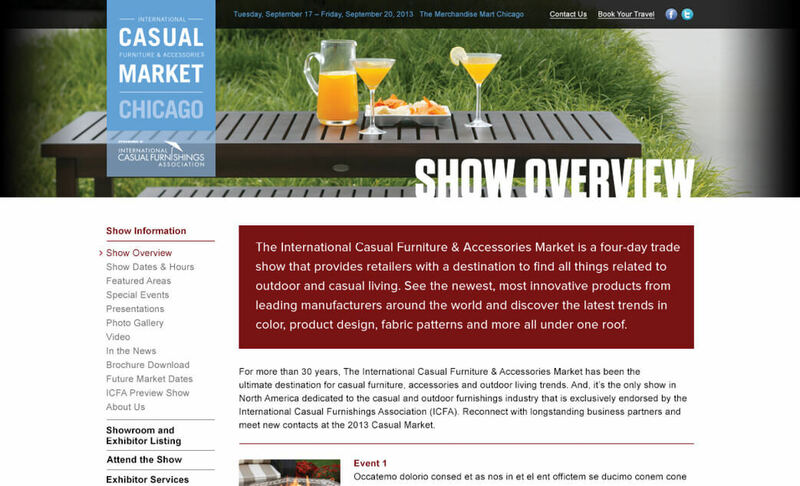 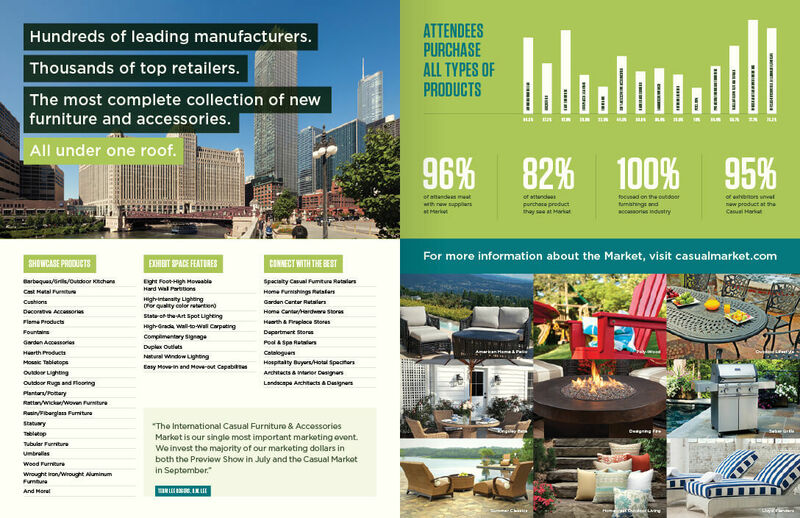 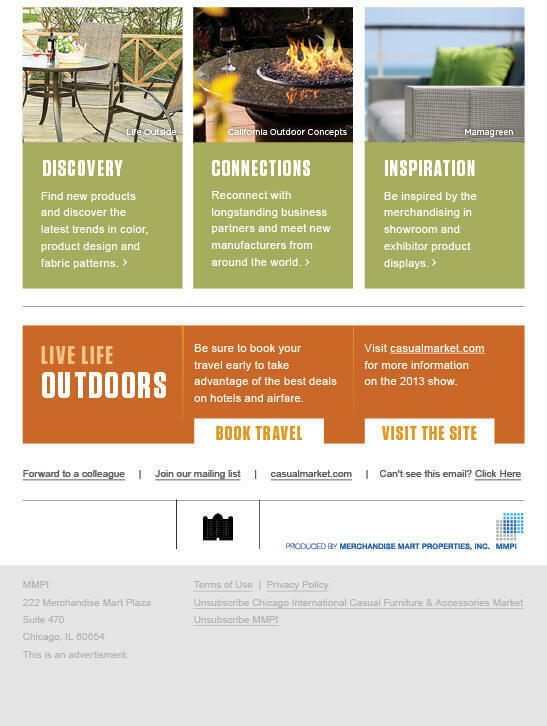 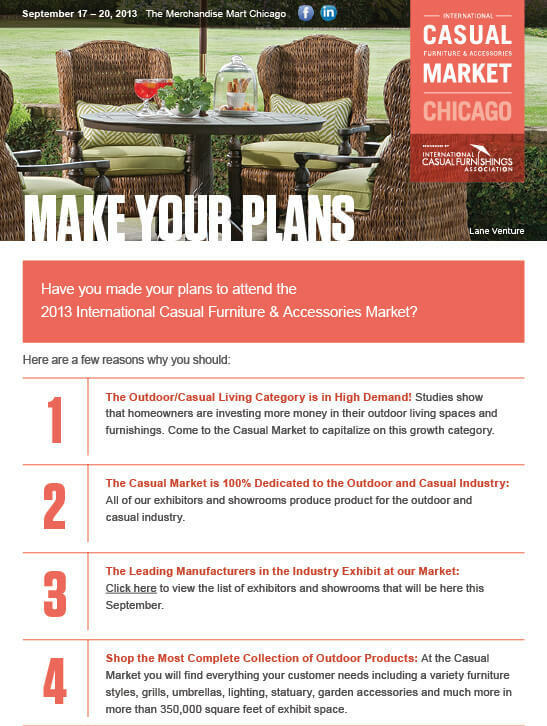 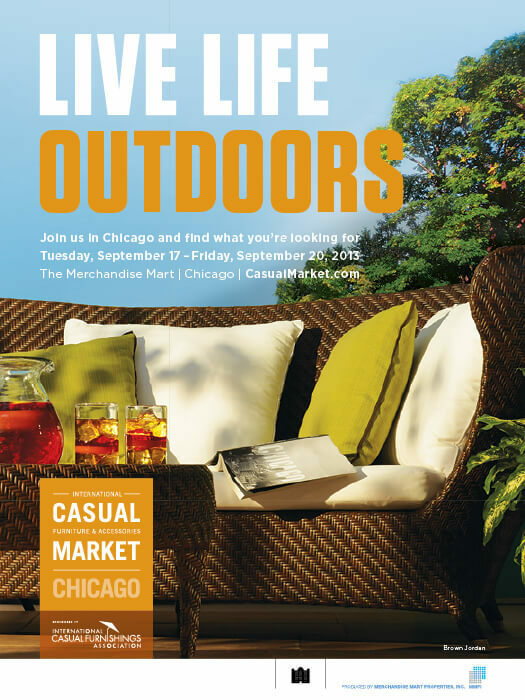 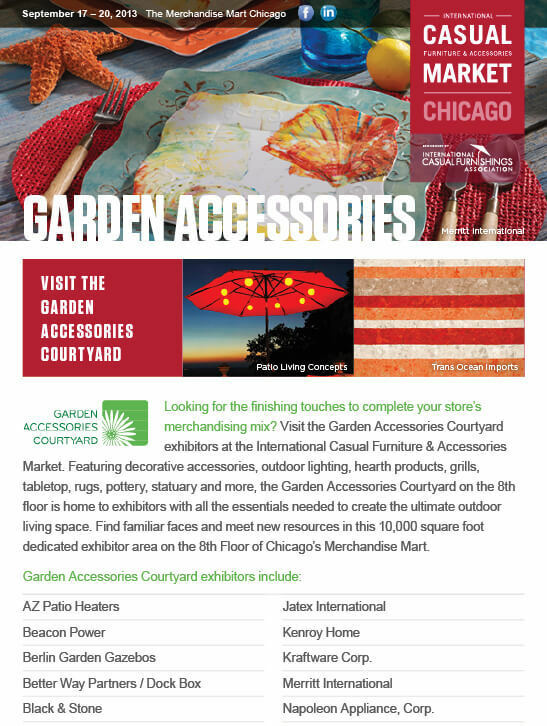 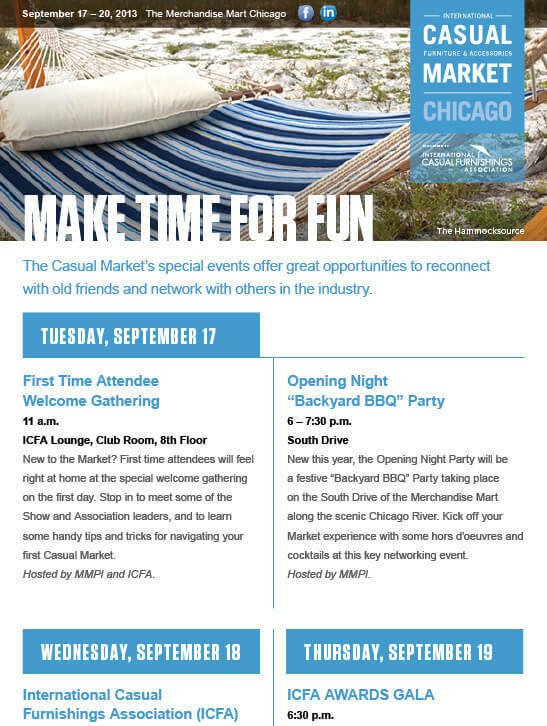 With a long history as the largest outdoor furnishings trade show, the International Casual Furnishings and Accessories Market had grown to prominence while its brand identity had become stale. 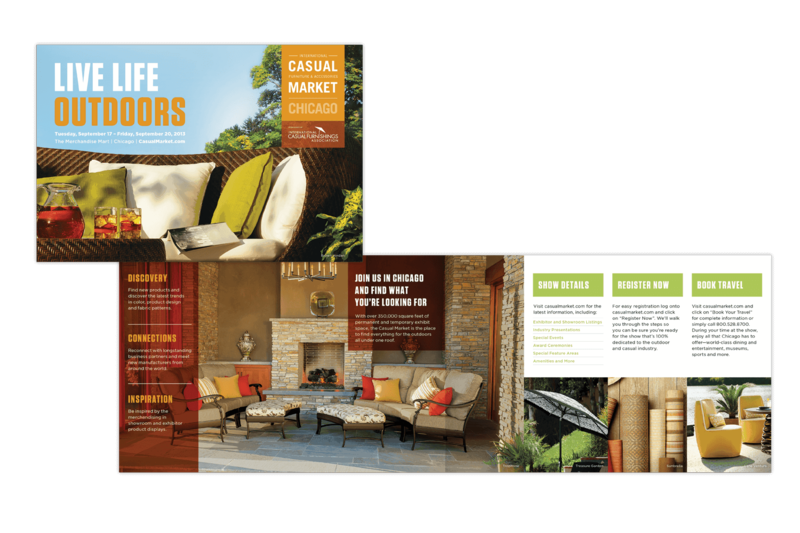 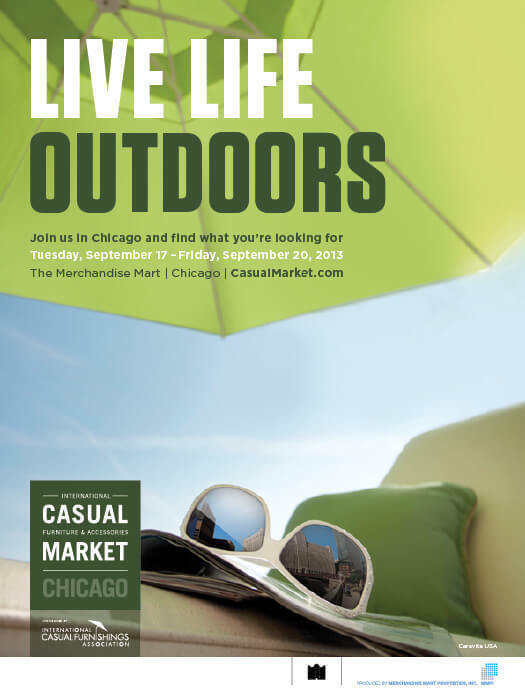 Our first step in rebranding the show was to create a new logo that emphasized its nickname, Casual Market. 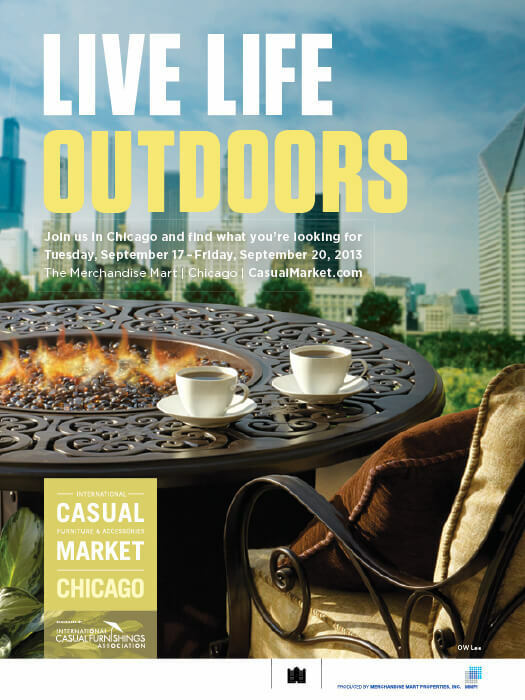 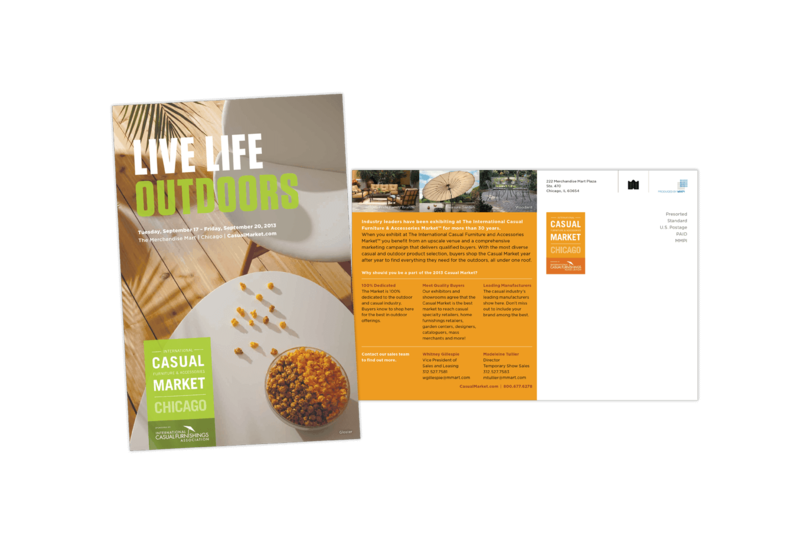 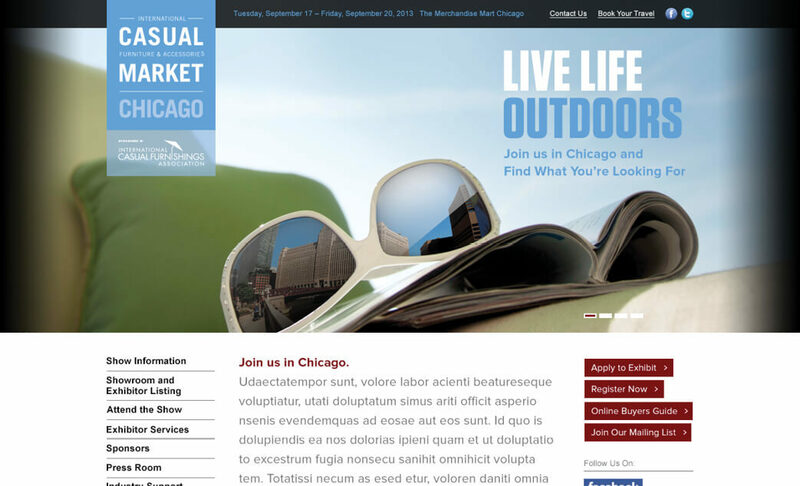 We then developed the headline, Live Life Outdoors, and boldly applied it to images taken during a photoshoot which highlighted specific outdoor products as well as the city of Chicago. 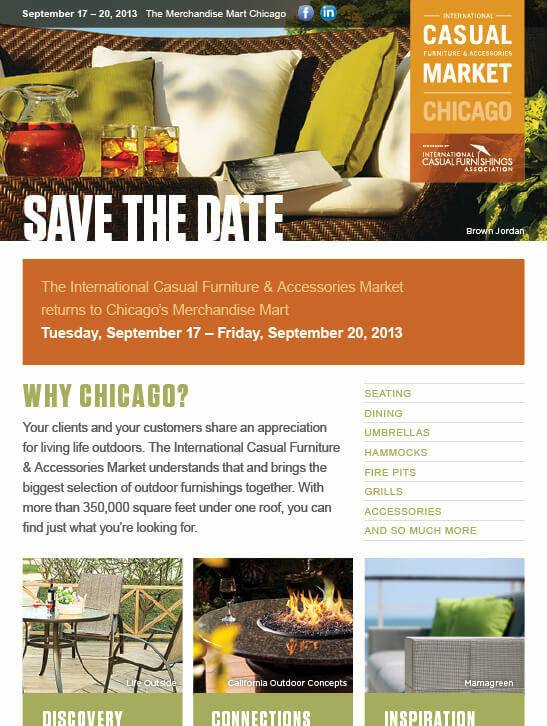 Save the Date This postcard was mailed to people that might attend the show so they could pencil it into their calendar.